MOSCOW, February 6. /TASS/. The Russian Embassy in Sri Lanka has recommended Russians to refrain from visiting the Maldives because of unrest in that country, the embassy’s Consular Department whose area of responsibility includes the Maldives told TASS on Tuesday. 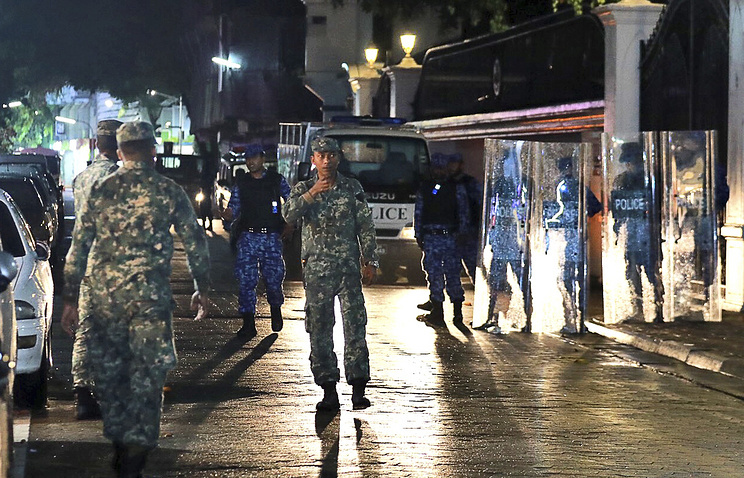 "A signal has been sent to Moscow with recommendations to refrain from travelling to the Maldives in connection with certain unrest at the political level," the embassy said. "To date, there have been no obvious threats, but there are preconditions for that." On February 5, Maldivian President Abdullah Yamin declared a 15-day state of emergency in the country. According to tourist agencies, over 60,000 Russians visited the Maldives last year.